The status of Samsung's flagship smartphone, the Note 7, appears very much up in the air after isolated reports last week that new replacement models have also burst into flames. At least two mobile carriers are now urging Note 7 owners to switch to another model. An exploding battery issue forced the Korean electronics firm to initiate a recall of the phone, three weeks after its August 19 release. Last week, a Southwest Airlines jet, at the gate in Louisville, was evacuated when a passenger's replacement Note 7 caught fire. Airlines now routinely order passengers to power down their Note 7s as part of the boarding instructions. Samsung's last official statement on the matter came Friday, when it reacted to the latest incidents. On Monday, a Korean news agency reported that Samsung had temporarily suspended production of the Note 7. 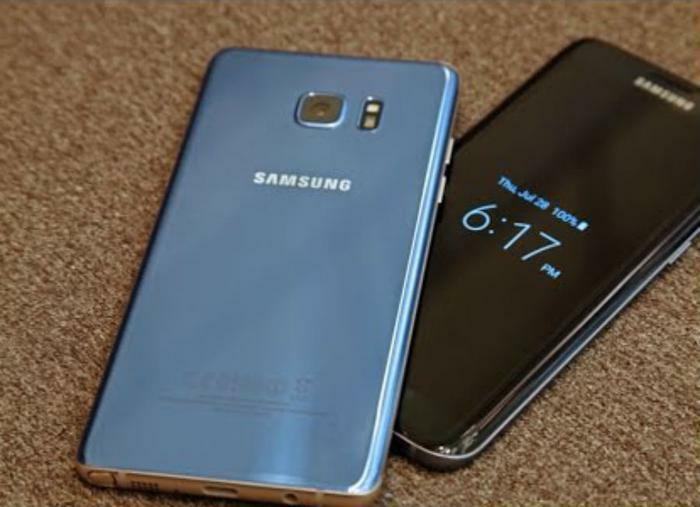 It based the report on a statement from an unnamed official at an unnamed Samsung supplier. In the U.S., Computer World quotes AT&T spokesman Fletcher Cook as saying the mobile provider will suspend its program of distributing new Note 7s in exchange for the original model. Instead, AT&T said it is encouraging consumers to exchange their Note 7 for another model. Similarly, T-Mobile has issued a statement, saying it is temporarily suspending all sales of the new Note7 and exchanges for replacement Note7 devices. “Customers can still bring their recalled Note7 or the new replacement Note7, along with accessories they purchased from T-Mobile, to a T-Mobile store for a full refund and choose from any device in T-Mobile’s inventory,” the company said. T-Mobile is also waiving restocking charges, and any customers who received promotional premiums for their Note 7 purchase may keep them. In the meantime, just about everyone – not just the airlines – is advising consumers who own a Note 7 to power it down and leave it off.